Spring is a time of awakening — both outside and inside of our home. With a long and especially harsh winter behind us, we’ve been happily casting off the trappings of winter and embracing the blooms of spring. No longer stuffed into snowsuits with full-body zippers and snaps and Velcro at every potential source of wind, Jasper is free to experiment with putting his light jacket on and off, and zipping up and down. We’re into prime rubber boot weather here, and they make the perfect introduction to independent shoe-wearing. J can find his boots, put them on, take them off, and return them to their home all on his own. He’s taken to exploring all other forms of footwear we have around and is now an avid Velcro-ripper. Towards the end of winter, Jasper had begun to make his first forays into the backyard alone. We have a medium-sized fenced yard in a small town, and a sliding glass door from the house which allows for some occasional surreptitious supervision. It’s a great opportunity for us both to develop some independence! With the ice and deep snow gone from the yard, he’s more confident than ever, journeying to the furthest corners of the fences and climbing the ladder to the slide. Following the child these days often means 7 AM visits to the bird feeder. When I go out to the yard to work in the garden, he comes with me, and we’ll each do our work-play separately, but together. And, occasionally we’ll join each other for a little while. Jasper reached 18 months back in March, and I feel now that I have a first-hand understanding why so many Montessori toddler programs begin at 18 months. It’s like a switch has been flipped, and he’s entered a whole new realm of illumination. Or maybe I should say we have, because as he grows, so do I. Have you noticed certain seasons or ages or phases when your child suddenly seemed to developmentally leap forward? I’m curious to know what I should look out for in the future. P.S. 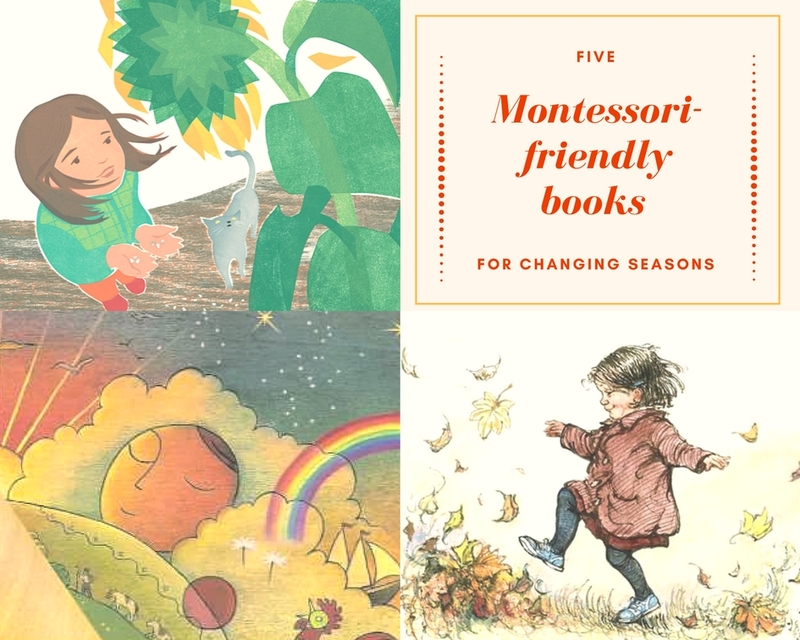 While writing this post, the doorbell rang and a package from Montessori Services was delivered, so you may expect some fresh indoor practical life content coming soon!